Our former Former Prime Minister Atal Bihari Vajpayee passed away on August 16 at 5.05 pm. Who has played a crucial role in bringing metro. The central government has announced a period of seven-day mourning across the nation. 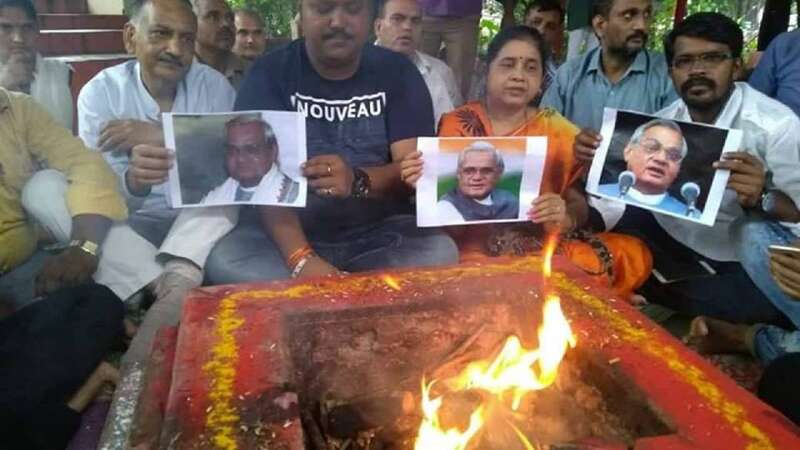 New Delhi: The former Prime Minister late Atal Bihari Vajpayee has given a major contribution in the Metro and flyover network that has been installed in the country’s capital Delhi. When the metro started in Delhi, Atalji was the first person to travel in it. His simplicity was that despite being a Prime Minister, he had purchased a ticket (token) and traveled between Shahdara and Thirahari on the Red Line. Not only this, the person who purchases the first smart card of Metro was also Vajpayee. Our former Former Prime Minister Atal Bihari Vajpayee passed away on August 16 at 5.05pm. Who has played a crucial role in bringing metro. The central government has announced a period of seven-day mourning across the nation. Today Delhi Metro has become beacon of the country’s urban mobility. If we talk about his contribution in road development in terms of roads, his one of the contribution is Golden Quadrilateral connectivity, which connects the four metro cities Delhi, Mumbai, Kolkata and Chennai. The other grand contribution especially for villagers Pradhanmantri Gramin Sadak Yojna, which helped at very larger scale for village dwellers. During his time Fiscal Responsibility Act was introduce, his New telecom policy has facilitated India so that Central government’s JAM (Jandhan, Aadhar, Mobile) plan for financial inclusion. Major contribution in bringing the metro: In 1995, the Government of India and Delhi government together formed the Delhi Metro Rail Corporation (DMRC). E. Sreedharan was appointed as head of the DMRC. 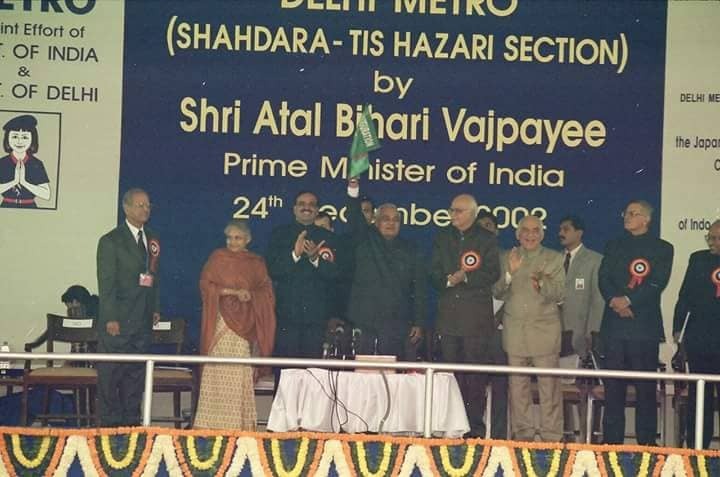 The first line of Delhi Metro started in 1998 and on December 24, 2002, the then Prime Minister Atal Bihari Vajpayee flagged off the metro between Shahdara to Tis Hazari on the Red Line. Since then, Metro is expanding continuously in Delhi. Road connectivity: Delhi was linked to other cities through road, Atal ji, brings the first connectivity from Delhi to Mumbai via road. Apart from this, he had brought new connectivity from Delhi to Lahore which also helps in improving relations with Pakistan. The Senior BJP leader LK Advani in his one of the interview inform that he and Atal ji used to go to the Connaught Place on a scooter in the 50’s. And there they used to have Golgpepe, the famous India snack which is also known as Pani-Puri was his favorite.